Since starting a family, gone are the days when I had hours to spend at the gym or doing my own running training. With my husband being busy at work, I’ve had to find ways to exercise with a child in tow. We started with a running buggy and a mountain bike with a child seat. 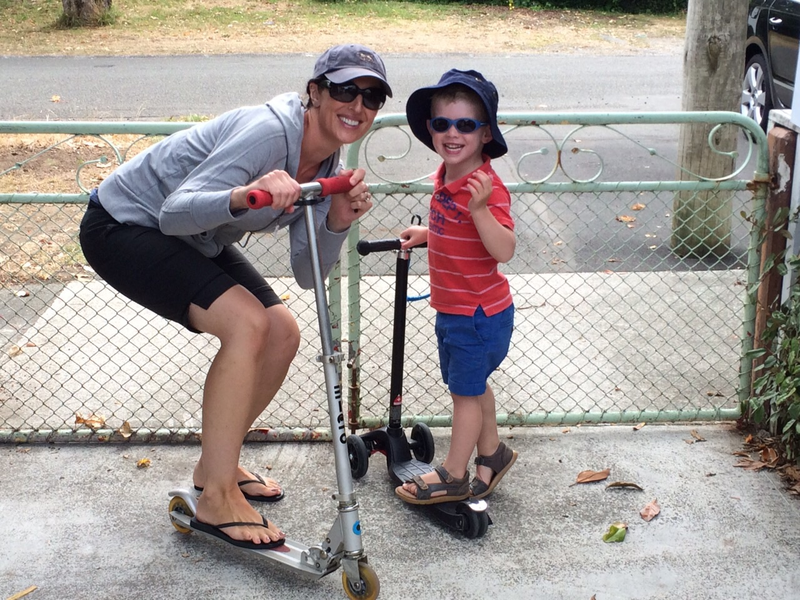 These are both great but now that my son is 3 ½ I felt like he should be getting active too. We got him a scooter for Xmas and he is so fast now that I’ve invested in my own scooter. We head out together all the time for a good 45 minute scooter ride and it’s surprising how much I feel it in my leg muscles. I almost feel like a child again racing along the waterfront together. 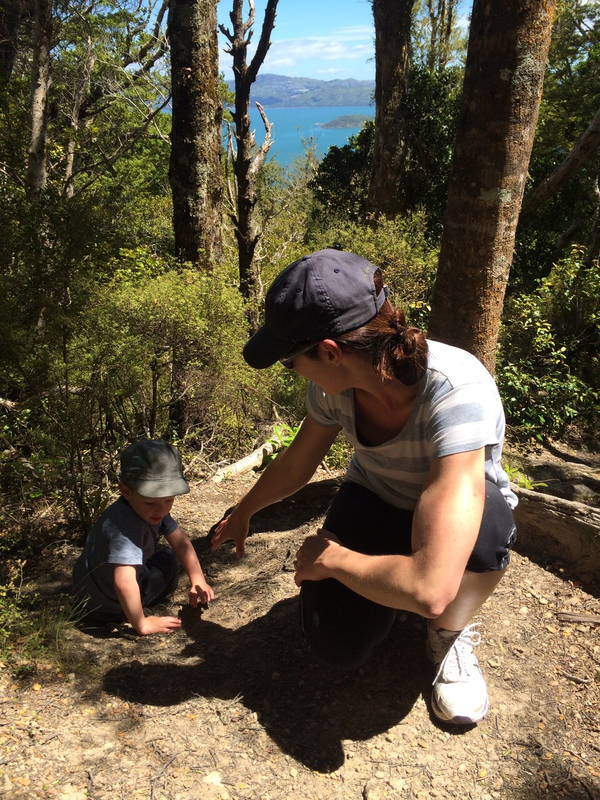 We’ve also introduced our son to bush walks, as we are lucky enough to live in Eastbourne with the hills so close. Each weekend we complete a loop of the ridge track and Will now walks the whole thing as long as we take his cars in the backpack so that they can come on the walk too. We really love enjoying the great outdoors together. Pilates and mat work at home is also a regular event. My son likes to have his own mat and tries to copy the exercises but we mostly end up playing tunnels under my legs or dancing round the lounge. Now that I’m pregnant again, all of these forms of exercise are still very achievable and I love the fact that my son is keeping fit along with me. It is a much less selfish exercise routine and just a lot of fun.